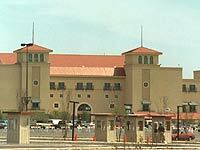 An exciting weekend is on tap at Retama Park as the track near San Antonio closes its 2007 Quarter Horse meet. Closing Day, Sunday, June 17, will be highlighted by the running of the $283,770 Retama Park Futurity (G1). Friday, June 15, will be a "Fifty Cent Friday" at Retama. "Fifty Cent Fridays" entail free admission, fifty cent Cokes, fifty cent programs, $1 hot dogs, $1 draft beer, and the following free activities for children: pony rides, petting zoo, face painters, clowns, and caricature artists. First post on Friday is at 6:45 p.m.